The Flash Season 2 is almost over! I know, sad news, right? But it does mean we should have a thrilling season finale on Tuesday night, March 24. The season finale is called “The Race of His Life” and a promo aired after tonight’s show; you can find that promo below. Hopefully we will have some official photos very soon. Read some Flash season finale spoilers here! What did you think of “Invincible?” Come talk about it on our Flash forum! 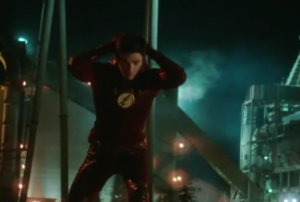 I think last nights episode of the flash was amazing and struck a bow to barry allen life.